"A2 Hosting" Reviews (Apr 2019) - Why 4.9 Stars? With an emphasis on performance and an eye for detail, A2 Hosting largely avoids the typical shortcomings of many web hosts out there. The independently owned company balances high-powered infrastructure and developer tools with equally responsive customer support teams, giving experienced customers a highly optimized hosting experience. “If speed and performance, partnered with support and security, are at all priorities in your web host shopping, A2 Hosting should be a leading contender. 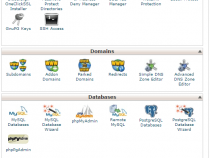 “There are plenty of excellent cPanel shared hosting providers out there, so what sets A2 Hosting apart from the rest? Not only does the company offer a ton of features, but it has custom-built its packages for enhanced performance, speed, and security — putting your priorities above pricing. “Whether you're looking for managed or self-managed hosting, A2 Hosting offers three extremely reliable dedicated server plans to meet your needs, depending on your levels of comfort and experience. “While A2 Hosting's turbocharged shared hosting platform gives site owners ample room to grow, the company's tech prowess is on full display with its portfolio of VPS options. Ranging from unmanaged, bare-metal environments to stress-free, fully managed space, A2 Hosting is sure to have the perfect option for your expanding online presence. “As experts in performance optimization, A2 Hosting is a top choice for powering resource-heavy WordPress websites. The company offers shared or managed plans for the ultra-popular content management system, with the benefits extending to Joomla, Drupal, and other platforms. “When it comes to site-building, A2 Hosting sets users up with all the tools they need to get a website built, launched, and thriving. The company's own drag-and-drop site builder offers total simplicity for those without coding experience, or users can opt for design tools from Microweber or RapidWeaver. A2 Hosting's Turbo Servers offer page load speeds up to 20 times faster than standard hosting. Using less CPU and memory, and boasting fewer users per server, the Turbo option handles connections efficiently and with enhanced stability and speed. The Turbo Servers are hosted on the company's SwiftServer SSDs, which perform thousands of input/output operations per second — up to three times faster than standard hard drives. 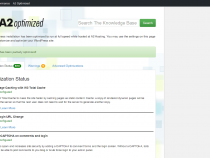 A2 Hosting also provides an optimized cPanel plugin for pre-configured caching from Turbo Cache, OPcache, and Memcached. With the company's exclusive Site Accelerator, SPDY support, edge-side includes, and HTTP/2, A2 Hosting offers optimal page loads. As part of the Perpetual Security package included with most plans, A2 Hosting users benefit from the company's hack protection scanner, HackScan. Customers also receive free KernelCare, which automatically runs rebootless kernel updates daily. An optimized plugin for WordPress auto-hardens your site to prevent hacks, while also including a unique WordPress login URL, automatic WordPress updates, and reCAPTCHA on the login page. With 24/7 support from the Guru Crew and 24/7/365 security monitoring, A2 Hosting offers a 99.9% uptime guarantee. Other components of the company's proactive protection include brute-force defense, a firewall, and virus scanning. Nearly all A2 Hosting accounts come with the free Cloudflare CDN and cPanel, with the Softaculous auto-installer available for easy installation of popular web applications. 1-click installs are available for popular content management systems like WordPress and Magento, as well as ecommerce apps like PrestaShop. SSL certificates and PayPal merchant accounts are available, and POP3/IMAP/SMTP-supported email accounts enable customers to connect with customers and subscribers with a variety of email marketing and list management software programs. A2 Hosting's powerful infrastructure means you'll have no problem launching and growing an online store or shopping cart with OpenCart, WooCommerce, PrestaShop, or dozens of other applications. The company will automatically configure your installation to take advantage of its hardware optimizations. In addition to offering free site transfers and unlimited RAID-10 storage, A2 Hosting offers up to unlimited domains, databases, and email accounts. Emails are supported by POP3, IMAP, and SMTP, with options to activate Barracuda advanced spam filtering included. For advanced users, A2 Hosting's dedicated servers offer root access and CloudLinux OS. The company has four datacenters based in the U.S., Europe, and Asia, with a quadruple redundant network. A2 Hosting is multi-language supported, featuring PHP 7, Ruby on Rails, and other programming languages. MySQL is always kept up to date, with SSH included and phpMyAdmin pre-installed. For database recovery, A2 Hosting's Server Rewind backups are included for free. A2 Hosting is committed to building performance-minded tools for its platform while keeping the implementations simplistic for users. The optimized software installations, auto-configurations, and plugins make setup for WordPress and web applications easier than ever. With cPanel and Softaculous, users can easily access a wealth of popular applications, from SEO tools to security features. A2 Hosting offers tons of custom enhancements for caching, security, backups, and more. A2 Hosting may not be the cheapest web host in the space, but the company packs the most bang for your buck into its plans. With A2 Hosting, you get 24/7/365 customer support, including a WordPress-specific support department, as well as features optimized for the A2 Hosting environment. The company's reasonable pricing format extends through A2 Hosting's VPS, cloud, and dedicated server options, as well, especially resonating with more experienced customers who will notice and appreciate the upgraded and modern hardware. A2 Hosting has built its services upon the promise of reliable servers and a supportive team of professionals on standby to help customers with any need. The optimized software and Turbo Servers are designed for optimal page load speeds (up to 20 times faster than average), and a 99.9% uptime guarantee. With 24/7 network monitoring and a U.S.-based support team available all day, every day (including a team devoted to WordPress support), A2 Hosting includes unwavering and highly-praised customer and tech support. The company's Guru Crew consists of hand-selected team members equipped to handle any hosting conundrum — from first-time blog setup to advanced PHP hosting support. Wondering how A2 Hosting stacks up againt other web hosting services? See our host-vs-host reviews below and compare them side by side. 7 out of 9 times. With independent ownership and a nimble team of employees, A2 Hosting strives for optimum performance and out-of-the-box thinking. The group's incredible innovations enable the company to strike the perfect balance of speed and reliability meets quality support. As innovative hosts keen on pushing the envelope (A2 Hosting was among the first to offer SSDs, PHP5, and Ruby on Rails for shared hosting, the company is committed to forward-thinking and user-friendly hosting experiences. Are you a site-building amateur? Or on the other hand, are you an advanced user seeking ultimate reliability on dedicated servers? Perhaps you're just lost in the middle, searching for a happy medium between shared and VPS hosting. Regardless of where you fall on the hosting needs spectrum, A2 Hosting has a solution involving speed, security, and support for your website.